PamBio is an innovative biotechnology company developing drug therapy for Hemorrhagic stroke (intracranial bleeding, ICH) and other acute bleeding conditions. "tPA Mutant in the Treatment of Acute Brain Injury and Neurodegenerative Disorders"- Inventors: Higazi Abd, Higazi Nuha. "Plasminogen Activator Mutants as Anti-Fibrinolytic Agents" Inventors: Higazi Abd, Higazi Nuha. Hemorrhagic stroke (intracranial bleeding, ICH) occurs mostly when small arteries in the brain rupture and bleed into the brain tissue. 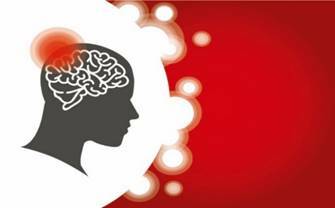 The more common form of stroke – ischemic stroke occurs when a blood clot disrupts the supply of blood (oxygen and nutrients) to the brain. Whereas ischemic stroke has a drug treatment (Alteplase, tPA) that promotes clot lysis, there is no drug treatment for ICH. ICH accounts for 10-15% of all strokes. This translates annually to 1.5-2.25 M ICH incidence worldwide. Although less prevalent compared to ischemic stroke it is the most devastating form of stroke. Death rates after an ICH are 31% at 7 days and 59% at one year. Many of the survivors are left disabled. The financial annual burden of ICH in the US and the EU is estimated at US$ 43.5 B.
PamBio’s solution for ICH drug treatment is a counter intuitive one. Its drug product in development is an inactive recombinant mutant-tPA protein. Its S481A amino-acid substitution renders the protein catalytically inactive but maintains it structure and ability to interact with major components of the fibrinolytic pathway. In essence the mutant-tPA drug molecule is a competitive inhibitor to the native-tPA. It is the only known antifibrinolytic drug that blocks both tPA and uPA fibrinolysis enzymes’ activity, enabling treatment in a time window beyond 3 hours. It limits tPA and glutamate mediated neurotoxicity, by blocking the binding of the neurotoxic tPA to NMDA receptors, thus providing neuroprotection. 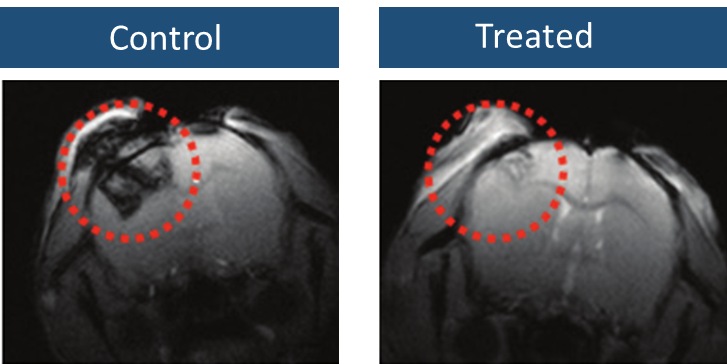 POC studies have shown that PamBio’s biomolecule reduce bleeding in mice brains post Traumatic Brain Injury (TBI, figure 1), with good neurological outcome (figure 2); that piglets treated with the drug post Fluid Percussion (FPI) Injury suffered less neurodegeneration; and that the drug is effective in preventing general and systemic bleeding, reducing by half both bleeding time in mice (tail bleeding) and bleeding volume in rats (liver resection). Figure 1. 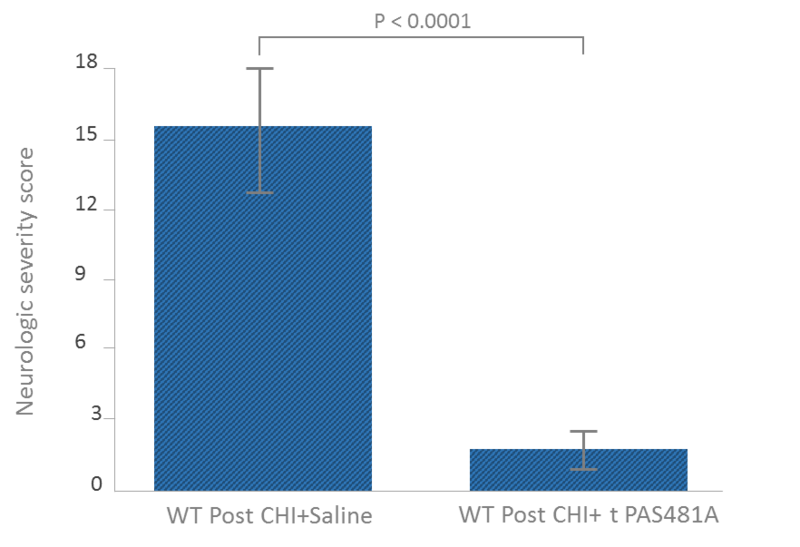 Mutant-tPA prevents ICH in mice, post closed head injury (CHI). Adopted from Higazi et. al., Blood, 2015. Figure 2. Mutant-tPA attenuates neurologic deterioration in mice, post CHI. Adopted from Higazi et. al., Blood, 2015.